How many creeks have I drawn on my Locator Map? Every one that I could see. 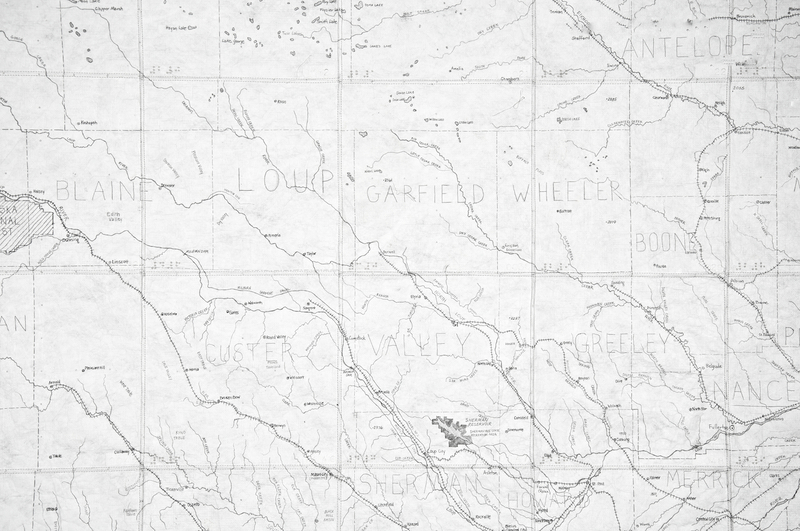 I’d look at a topographic map and draw with pencil on 12 inch squares of Tyvek. I would branch off from a river and continue, my line growing finer and fainter, until the creek, and my line, disappeared. I began to love those meandering lines, that tracery that became denser and then more spare, that branched past the towns and railroads, that stretched, yearning, into open ground. Little Cedar, Big Cedar, Dry Cedar Creek, Clear Creek, Skull Creek, Bloody Creek, Ash Creek, Elm Creek, Box Elder, Silver Valley. 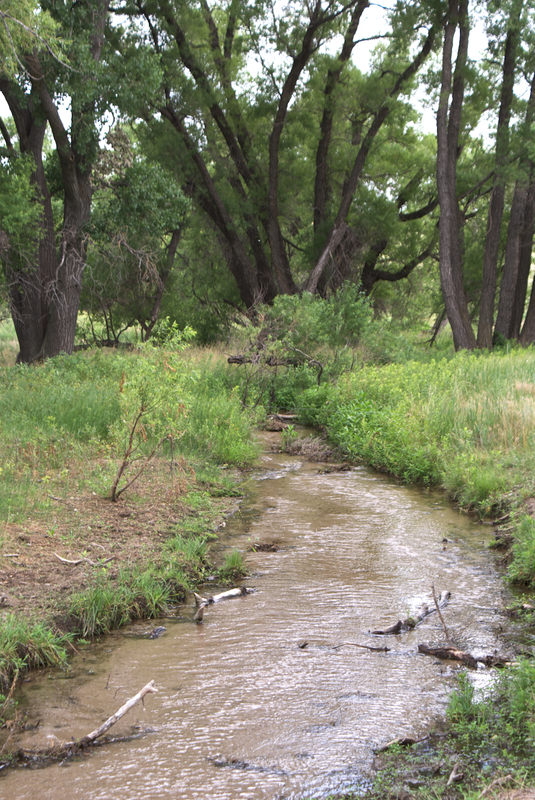 The first creek I crossed on the ground was Cub Creek, near Beatrice. It was just a narrow shimmer among the shade of mid-summer foliage. “I drew you!” I said to the creek and I was grateful there was no one around to hear me talking to the water. When I photographed Blue Creek, north of Oshkosh, I thought about how these creeks cross boundaries—going under fences, under roads and always in contrast to all the straight lines. I never would have noticed this creek if I hadn’t drawn it. But then, if I hadn’t drawn it, I would never have been on the gravel road that led to it. 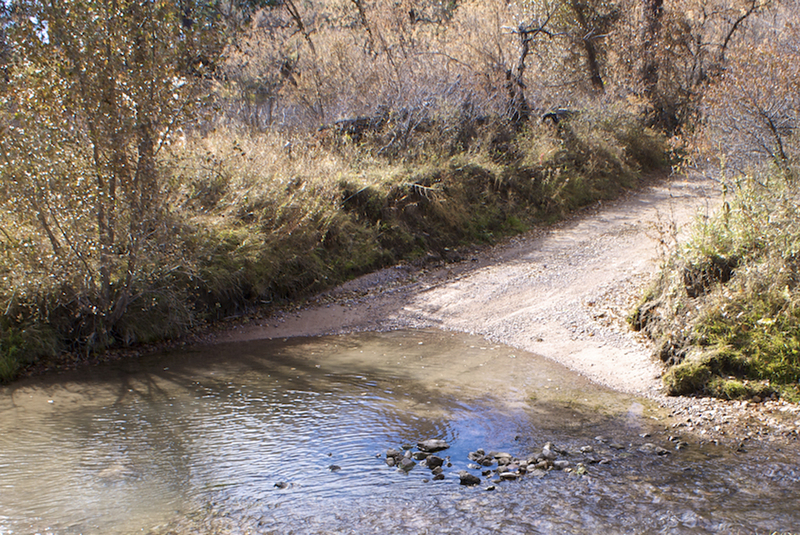 And some creeks, like Soldier Creek, went over the road, even in dry weather, and as I drove across I had to trust, again, in what I couldn’t see.